You can rest assured that our staff at Body Physics is top notch, possessing college degrees in fitness and kiniesiology, nationally recognized fitness certifications, nutrition certifications, and most importantly a combined experience of almost 40 years in the fitness industry and 40 years in martial arts. 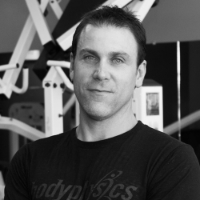 Jim is the founder of Body Physics Fitness and the co-founder of The Haddonfield Martial Arts Academy. He began personal training at a central New Jersey health club while attending college. As part of his degree requirements, Jim completed an internship at the Health and Wellness Center for Johnson and Johnson Pharmaceuticals. After graduation he began managing individual gym locations for Town Sports International, one of the three largest health club companies in the United States. He worked at their locations in Franklin Park, Princeton, Plainsboro, and Cherry Hill. In 2002 Jim opened his own health club in Haddonfield, New Jersey. It is called Body Physics. Body Physics and The Hadonfield Martial Arts Academy have won a combined 3 Best of South Jersey or One of Best of South Jersey awards, 2 Best of Haddonfield Awards, and the National My Trainer Rocks Competition. Jim has appeared on Channel 6 Action News and has regularly appeared on and contributed to NBC 10 News, NBC10.com and NBC’s All That and More. Jim has also appeared on Designing Spaces on TLC. He has been a fitness spokesman and is currently a featured fitness expert for Smooth Fitness. He has completed full length commercials for SitnCycle and Flex-o-Ring and appeared in the pilot episode for The Doctors Will See You Now. His articles have been featured in Jersey Fit Magazine, The Hammonton News and The Haddonfield Sun. He has been quoted in South Jersey Magazine. His Boot Camp program was the subject of an article in Inside Magazine and featured in SJ Magazine and The Courier Post. His workout routines have been featured in Maximum Fitness Magazine and The Courier Post. Body Physics has been included in Philly Fit Magazine as one of Philly’s Fittest. His public speaking appearances have included presentations to The Mercer County Public School System, The Hamilton Chapter of the Mall Walkers Association of America, The 65 Club in Haddonfield, Cherry Hill ROTARY, The Haddonfield CROP Walk, The Teachers of Hammonton Grade School, The Haddonfield Newcomers Club, The Camden County HOGS, Haddonfield Central School, and Urban Outfitters. • Trained Instructor for Town Sports International’s Foundations Program. Kirt is the president and CEO of the Kickin’ Flips Preschool Fitness Programs and Co-Founder of Haddonfield United Martial Arts Academy serving the community with over 14 years experience in the children’s fitness industry and over 20 years martial arts experience. Kirt started his early years of fitness and training in 1988 studying the martial arts. In 2001, he obtained his first-degree black belt in Tae Kwon Do. As part of his training, Kirt started competing regularly in the sparring divisions in many local and regional tournaments. In 1992, Kirt won his first of three gold medals in the men’s flyweight sparring divisions followed by two more gold medals in 1993 and 1995 qualifying him for National Level Competitions. In 1995, Kirt teamed up with Kathy Gleason Jachter to start a small mobile fitness company specializing in the sports of gymnastics, karate and fitness. Since inception in 1995 Kickin’ Flips has taught over 10,000 kids in the Burlington, Camden and Gloucester counties in Southern NJ. Jason has 15 years experience in the Martial Arts. He holds a 4th Degree Black Belt in Tang Soo Do under Grand Master D.W. Drumm (KIOA). Mr. Eckert has been teaching Martial Arts for 10 years. 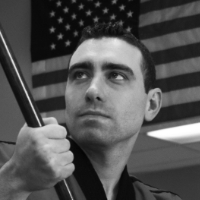 He has instructed at the USA Karate Centers in Voorhees N.J. and is a lead instructor at the UMAA Haddonfield School. He also Owns and Operates the Gloucester County Kickin’ Flips Pre School Fitness Program. 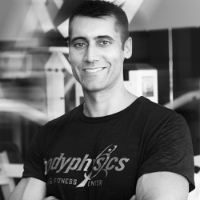 Ritch has been interested in fitness for many years and has been working with Body Physics since 2006. After transforming his own body and developing a love for fitness, Ritch set his focus on helping others do the same. He originally became a certified instructor through Mad Dogg Athletics. Ritch regularly runs in races such as marathons, half marathons, and Tough Mudders. He is a certified yoga instructor and enjoys TRX and Tabata training. Ritch has a strict attention to detail and is always focused on client service. He works one on one with clients of varied backgrounds and also teaches fitness boot camps and is a Body Physics Corporate Fitness Boot Camp Instructor. Susan has a Health and Physical Education degree from Rowan University. She is also a American Muscle and Fitness certified personal trainer. Susan was an All American field hockey player at Rowan University. While she is an accomplished personal trainer for all populations, she specializes in sport specific training and youth fitness. She currently teaches Physical Education at Woodstown High School. She is also the head field hockey coach for Woodstown and is a representative for the field hockey company STX. She is a two time South Jersey Coach of the Year.